These handy rotating tables permit 360° access to your parts so that you can work without having to move your torch. Bearings in the base provide smooth, easy movement. The tables are only 1" high, which makes it comfortable to use them on a bench top. Square table is supplied with one 6" x 6" Ceramic Soldering Pad and also accommodates our Solderite Soldering Pad, see "Related Products" below. Round table is supplied with grooved 4-1/2" diameter ceramic soldering disc. 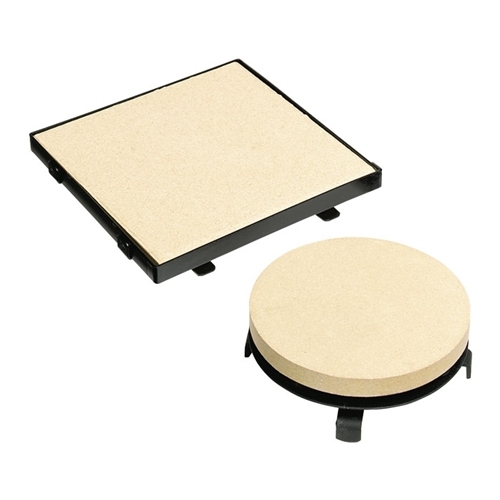 Replacement ceramic pads are available for both.